MusicExperiment21 (ME21), has been a five-year artistic research program (2013-2018), funded by the European Research Council, based at the Orpheus Institute Ghent, and directed by Paulo de Assis. The programme explored notions of “experimentation” in relation to the performance practice of Western notated art music, proposing a move beyond commonly accepted codes and conventions of musical interpretation. In this new approach—corresponding to an artistic practice supported by reflections and research—the performance of past musical works is not regarded in its reiterative, reconstructive, or reproductive function. On the contrary, it insists on performance as a locus of experimentation, where “what we know” about a given musical work is problematised. The performative moment becomes both a creative and a critical act, through which new epistemic and aesthetic properties of the musical work emerge. The project had a substantial creative and practical component that led to several artistic realisations and outputs. It generated a great number of performances, lectures, recordings, essays, and books, pioneering open access publication modes, as well as innovative online multimedia expositions of research. ME21 core researchers have been Dr. Paulo de Assis (Principal Investigator), Dr. Michael Schwab, Dr. Juan Parra C., Lucia D’Errico (docARTES), Paolo Giudici (Royal College of Arts, London), Heloísa Amaral (docARTES), and Dr. Jan Michiels (Royal Conservatory, Brussels). 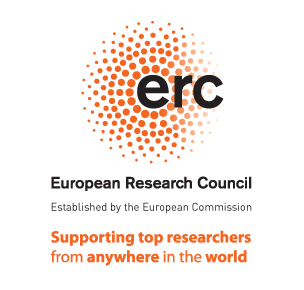 This project has received funding from the European Union’s Seventh Framework Programme for research, technological development and demonstration under ERC grant agreement nr. 313419.